UPDATE: The Australian closing date has been extended to 18 January 2019. 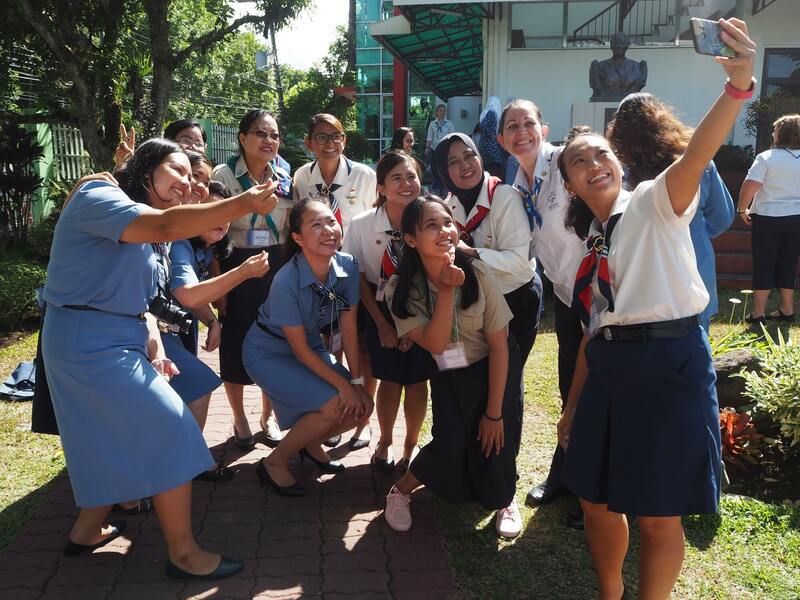 Girl Guides Australia is looking for a number of young women to attend the Juliette Low Seminar (JLS) in global hubs both in Sydney, Australia and abroad in 2019. This event is back in 2019 and it’s bigger than ever. For the first time, the Juliette Low Seminar will connect the world, bringing 1000 young women together in up to 20 locations around the world, connected through technology. Throughout the 6-and-a-half day program participants will explore how they can actively tackle gender barriers to leadership and act on their values to bring positive change to their world. After their return home, each JLS participant will empower 100 girls aged 12-18 with leadership practices to build their confidence as everyday leaders. Part 1: Attend an international event for 6-and-a-half days with 40-60 of your Guiding peers – explore ways to break gender barriers to leadership, develop your own leadership practice, and create a plan to reach 100 girls in your local area – all whilst having the adventure of a lifetime. Part 2: Use your plan to complete your leadership project once you return home, share your knowledge and make an impact. Girl Guides Australia is delighted to be hosting one of the international hubs in Sydney providing greater opportunities for participation by its members. Participants will select their preferred locations, and then WAGGGS will match participants to a suitable location. Being flexible and adaptable is a part of the process. Not knowing where you may end up going is also a part of the adventure. Curious? Read more information about JLS 2019 from Girl Guides Australia. Alternatively, check out the WAGGGS website. Where: 20 locations all over the world! Applications within Australia will be through GirlGuide Traveller, followed by interviews and reference checks. Applications who successfully receive endorsement from GGA will need to complete the WAGGGS application form to forward to WAGGGS for consideration. The video should not exceed three minutes in length. We can accept a wide variety of formats including MP4, WMV, MOV, AVI etc. The video can be sent as an attachment in an email to international@girlguides.org.au, however if the file size of your video is very large (above 20MB) it may be easier to send it by WeTransfer (a free online service for sending large files).